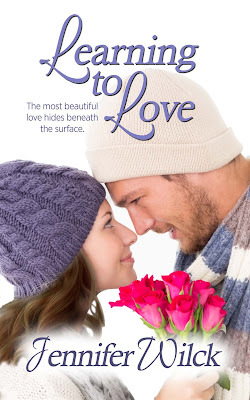 Learning to Love by Jennifer Wilck - Book Tour - Book Review - Giveaway - Enter Daily! Hey lovelies! It gives me great pleasure today to host Jennifer Wilck and her new book, “Learning to Love”! For other stops on her Goddess Fish Promotions Book Tour, please click on the banner above or any of the images in this post. Be sure to make it to the end of this post to enter to win a $15 Amazon or Barnes and Noble Gift Card!! Also, come back daily to interact with Jennifer and to increase your chances of winning! ...he was. Did she misread his intentions after he sent her those flowers? The sinking feeling in her stomach increased. Because while she had started to feel something for Adam, he’d turned her into a career asset for his own ambition. Wow! Amazing characters that you will fall in love with and root for their happiness! This book is a happy, feel-good, enjoyable, entertaining read! This book is about Dina Jacobs, a frizzy-haired, out-of-place, socially awkward, super intelligent, librarian. Dina receives an invite to her 10-year high school reunion and is in crisis mode trying to find a date and decide if she should even go back to the one place she felt evermore like an outcast. This book is about Adam Mandel, a smart, good-looking, corporate attorney, with a somewhat fake, cocky, player-ish attitude. Adam is up for a big promotion to be a junior partner at the firm – his dad’s law firm, but he keeps missing deadlines and slacking off. However, when Dina gets a flat tire and Adam stops to help, this chance encounter could be the perfect solution for each other’s problems! Dina needs a date for her high school reunion event and Adam needs a serious girlfriend to show his dad he’s grown up and is ready for more responsibility. As both need something from each other it becomes more of an arrangement at first – but could these two actually fall in love and this pretend relationship turn into the real thing?! No spoilers here!! But you definitely will want to read this book and find out!! This book keeps you totally engaged from page one through the very last page! I truly had a hard time putting this book down! I really liked the main characters, Dina and Adam!! They were likable, relatable, and genuine. Both characters had some serious low self-esteem issues and personal insecurities. They both dealt with them differently and tried to keep them hidden from the world. However, when they were together – they were able to just be themselves… And that’s why they were so perfect together – because they were being their honest, true selves – and trusting each other with that openness. I think a lot of readers will able to relate to Dina as many of us battle with personal insecurities and it’s often something we try to keep hidden from others. Plus, I’m sure readers will also be cheering Dina on – from when she shows up the means girls at the reunion to the cute, real feelings developing moments with Adam!! You can’t help but root for this adorable couple!! This book has a great storyline that flows, terrific writing style with detailed scenes, well-developed characters, is steady paced, and keeps you completely entertained through the last page. This book is the third book in the Serendipity Book Series. I had not read either of the books in this series before reading this book. I did not get lost or confused, so this book can be read as a standalone. However, there are many references to the previous book and the characters seem to overlap. However, since I liked this book, I would suggest getting in from the beginning and starting with book one, so you don’t miss anything. All in all, I would absolutely recommend this book, and this author as I was truly impressed with the quality of writing, intriguing storyline, and excellent character development! I will definitely be continuing to follow this author and check out her upcoming books! She writes contemporary romance, some of which are mainstream and some of which involve Jewish characters. She’s published with The Wild Rose Press and all her books are available through Amazon, Barnes & Noble and The Wild Rose Press. Jennifer will be awarding a $15 Amazon or B/N GC to a randomly drawn winner via Rafflecopter during the tour. 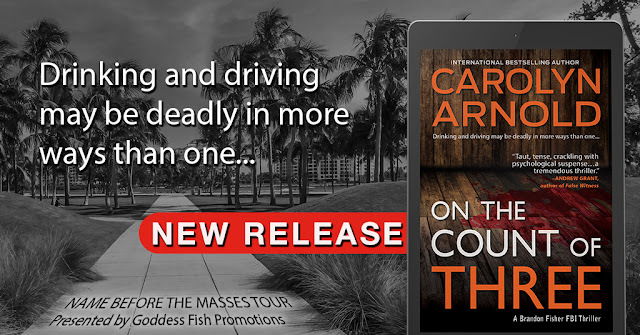 On the Count of Three by Carolyn Arnold - Book Tour - Interview - Giveaway - Enter Daily! Hey lovelies! It gives me great pleasure today to host Carolyn Arnold and her new book, “On the Count of Three”! For other stops on her Goddess Fish Promotions Book Tour, please click on the banner above or any of the images in this post. Be sure to make it to the end of this post to enter to win a paperback copy of Carolyn Arnold’s book, “Remnants,” which is Book #6 in the Brandon Fisher FBI Book Series!! Also, come back daily to interact with Carolyn and to increase your chances of winning! This is the perfect book series for fans of JT Ellison, Catherine Coulter, Allison Brennan, and Blake Pierce. This series is also bound to entertain those who enjoy Criminal Minds, NCIS, Silence of the Lambs, Seven, Dexter, Luther, and True Crime. Read in any order or follow the series from the beginning: Eleven, Silent Graves, The Defenseless, Blue Baby, Violated, Remnants, On the Count of Three. 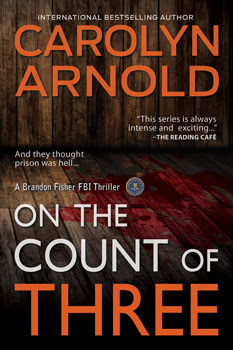 Carolyn Arnold has stopped by today to answer some questions about her FBI thriller On the Count of Three. Carolyn is an international bestselling and award-winning author, as well as a speaker, teacher, and inspirational mentor. 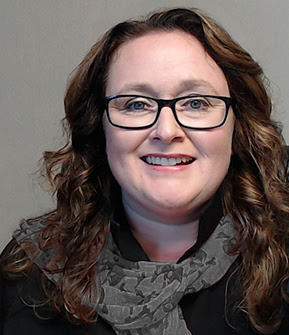 She writes in diverse genres offering readers everything from cozy to hard-boiled mysteries, and thrillers to action adventures. 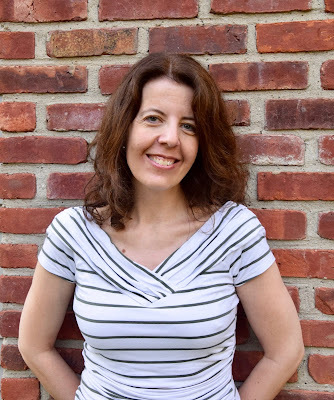 She also has four continuing fiction series—Detective Madison Knight, Brandon Fisher FBI, McKinley Mysteries, and Matthew Connor Adventures—and has written nearly thirty books. What inspired you to write On the Count of Three? I wanted to write something complex and that stated something on a social level. I probably do this more often than I realize, but my Detective Madison Knight novel, In the Line of Duty comes to mind. In that book, I essentially stood up for law enforcement in a world that so often shows them so little appreciation. In On the Count of Three, I take a clear stand against drinking and driving. What would you say is the driving theme of On the Count of Three? Our actions have consequences, and sometimes these may not be easy to see and can be far more reaching than we anticipate. At the end of the day, I hope we all realize that what we do affects other people—even those we’ve never met. How long did the writing and editing process take for this book? It might have felt like forever… I do several editing passes on my books and this one took about a year. Now I understand that On the Count of Three is the seventh book in the Brandon Fisher FBI series. Do readers need to read the preceding books in the series before reading this one? It’s not necessary. Every book in the Brandon Fisher series has been written to stand alone. For those of us who have already been introduced to Brandon Fisher, can you walk us through some pivotal moments for Brandon Fisher that are present in the book? How does he grow personally and professionally? What challenges does he face? Brandon Fisher is a fairly new with the FBI Behavioral Analysis Unit and is on a team led by Jack Harper. Jack’s a tough old dog who expects excellence and perfection from his agents. Brandon is driven to not only be a good agent but to impress Jack. In On the Count of Three, Brandon feels envious of the local detective who seems to easily garner Jack’s praise. The personal history that the detective has with Jack doesn’t help Brandon at all and he feels the scales are tilted. Regardless, though, Brandon needs to keep his head in the game and learn how to play well with others if they’re going to catch a killer. Along the way, Brandon may even learn that he doesn’t need Jack’s approval at every turn. It also seems that Brandon may be projecting the issues he has with his father onto Jack. Brandon and his father don’t see eye-to-eye most of the time and Brandon just might need to learn to stop trying to change his old man and be more accepting himself. The book description mentions a detective named Kelly Marsh. Is Kelly going to become a part of the series? No spoilers here. I guess you’ll have to read the book and continue reading the series to find out. What’s something readers can expect from On the Count of Three? It’s an FBI thriller that will make you think and put you right into the investigation alongside law enforcement. There are also chapters from the killer’s point of view so you’ll be privy to their thoughts—what motivates them, what makes them tick—and their actions. What proved the most challenging about writing this book? As an author, it’s only natural that your personal viewpoints are inserted in your work. With this book, I scaled back some intense feelings (and judgments) I have against drinking and driving. The characters and the plot were to drive the story. In this book, it seems the serial killer is targeting people who have served prison sentences for DUI vehicular homicide. What prompted you to write that? So often motive for murder results when someone isn’t found guilty or they’re given a slap on the hand. I wanted to go down a different route with On the Count of Three. The matter of drinking and driving is a very sensitive topic any day. Fortunately, I’ve never been personally affected by a DUI accident, but my heart aches for those who have. I would think the what-ifs would drive a person crazy. I’d always wonder if that person hadn’t gotten behind the wheel intoxicated, would my loved one still be around or would my loved one still be healthy? There’s such a delicate balance between acceptance and true forgiveness, too, I believe. It’s one thing to accept that life has been forever changed and another to pardon someone their mistake, transgression, oversight. Certainly, it’s never anyone’s intention to get behind the wheel drunk and kill someone or get into an accident. (Or at least I wouldn’t think so!) But when you go out for drinks with friends, do you make sure that you have a designated driver? Do you make a commitment to yourself and others not to drink if you’re going to drive? Or if you plan on drinking, have you made clear arrangements ahead of time to get yourself and friends safely home? Carolyn will be awarding a paperback copy of “Remnants,” to a randomly drawn winner via Rafflecopter during the tour.